my centeral locking is not working, or my audio, or my interior lights, or my clock, i think this might have hapened when i was fitting a new light in the tail gate to be used when camping when tail gate is opened, think it may have shorted out some thing but can not find out what, all fuse\'s are fine, the new light is wired into the rear wagen interior light, it is funny that i have lost my centeral locking audio clock as well when it was just the light that may have shorted out. So are all these on the same line??? if so were do i find it, i have looked at all fuse\'s both under the dash and under the hood, all are working witch i find wieard, so what has gone wrong??? i am thinking there has to be a link with all these things, but i just dont know were to look, can some one help. The fuse box should have a guide to the fuses. Generally a line that is always hot supplies things like central locking, courtesy lights (including the tail gate), clock and radio presets. Even if they have individual fuses, there will be a master fuse for the set that's not controlled by the ignition. thanks for reponce, i have looked at, pulled out, tested, all fuses the match with my problem, all fuses are fine and working, i can not seam to find the (as you say) Master fuses, so what am i missing??? 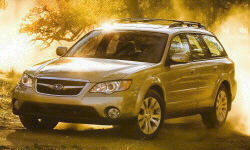 See herefor links to Subaru Factory manuals. The one for the 08 Outback can be found here. Get yourself a multi meter and start by looking for what is common between those circuits. Looking at the ground circuits all those appear to use grn 3 circuit. (page WI-26 in my copy (2005)). I'd start with that. Check to make sure you haven't shorted the antenna amplifier which resided in the back of my 2005 Outback. Also try disconnecting the new light you hooked up -- it is possible it (or an accidental short) is pulling down the voltage on that line. I would think that would burn out a fuse...but to burn out a fuse you need to draw the rated current for that fuse to burn out (e.g. 20A needs to be drawn to pop the amp with "20" on it); if the supply on that bus can't supply 20A to begin with (e.g. it can only supply 10-15A) then it'll just sit there shorted,, pulling the voltage low and not popping the fuse. If the bus can supply enough current to pop the fuse, then maybe your new light is 'open' with a low impedance -- if that's the case you should add a current limiting resistor in series with the new light to make sure it will only use as much current as you choose. Choose your resistor with R = 12V/I where I is the current (in amps) you want to limit the new light to. If you're just not sure if that's the cause, pull out a multimeter and check ther resistance between the 12V you used to connect to the V+ of your new light and GND anywhere on the frame. If the resistance is low (< 10 ohm?) I would be concerned as it COULD (but not necessarily) imply a short. If I read a low resistance, I'd personally start looking at the wiring i did to see where I screwed up and didn't wrap bare 12V wires well enough to keep them from touching the frame.